He's a Prince, and we want everyone to know it. 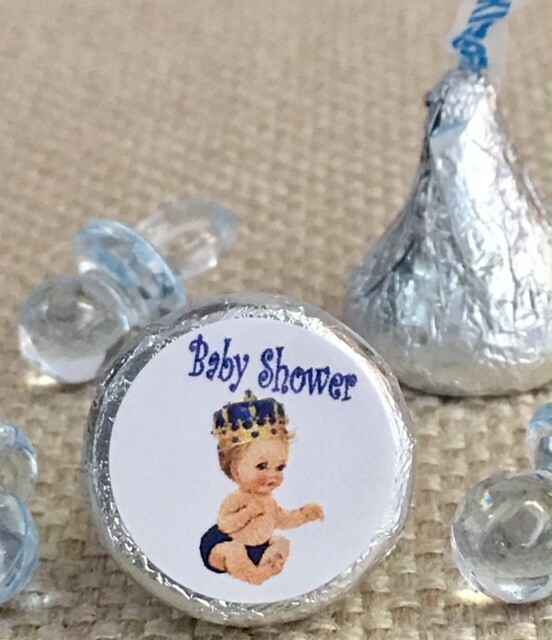 These Hershey Kisses Stickers will add to the decor of your themed baby shower. Everyone loves Hershey's Kisses! It's such a nice way to say thank you. Put them in a bowl or place them in a box or organdy bag, or scatter them on the tables. 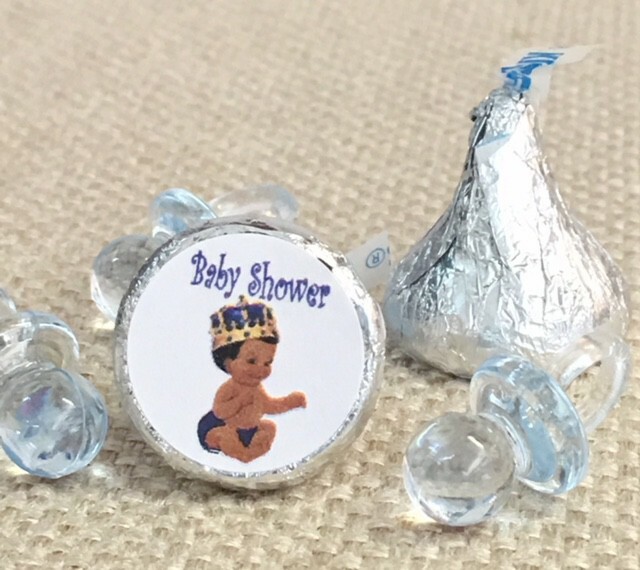 Easy Assembly: Peel the adhesive label from the sheet, place on bottom of a Hershey's Kiss. So easy! (Also works on Reese's Pieces). Each sheet comes with 105 labels! Kiss labels are 0.75" in diameter. 1 Design per Sheet. 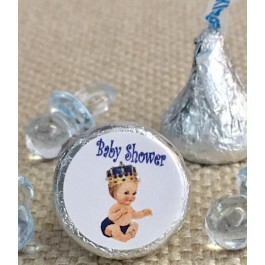 We DO NOT sell Hershey's Kisses, only the adhesive labels.